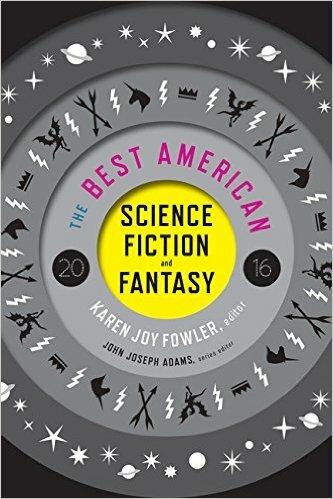 The creation of a new imprint in science-fiction and fantasy curated by John Joseph Adams was announced by Houghton Mifflin Harcourt in November. And at that time, the list was seeded with three backlist titles by author the Hugh Howey: Beacon 23, and Shift and Dust from the Wool trilogy. The rights to Wool, the volume that opens that trilogy, are held by Simon & Schuster in the print-only deal negotiated at the height of the material’s popularity by Howey and his agent Kristin Nelson. Vaughn’s Hugo-nominated story “Amaryllis” was published by Adams in his first issue of the magazine Lightspeed, and a story edition of “Bannerless” was featured in another anthology, The End Has Come. That latter anthology is part of The Apocalypse Triptych collections Adams produced with Howey, the first two installments being The End Is Nigh and The End Is Now. 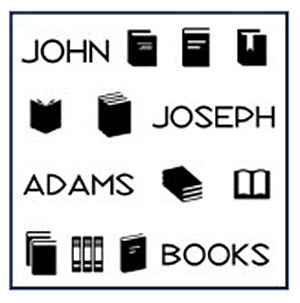 Long one of the best known anthologists in the field, Houghton’s creation of the new imprint under Adams’ direction was welcomed in the autumn by the world science-fiction community. For Houghton, his Best American Science Fiction and Fantasy series is a new tells us that while he appreciates material created primarily for entertainment value, his own interests run to more deeply meaningful work. 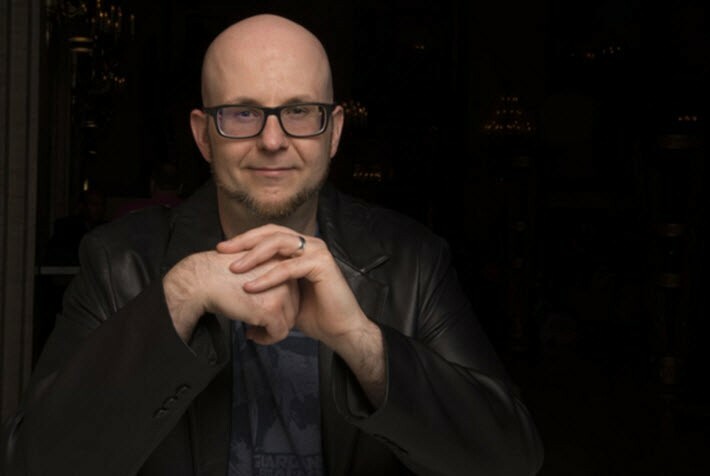 In a conversation with Publishing Perspectives, Adams talks about the business context in which publishing people have to try to balance the commercial imperative of entertainment—as the plethora of content in the marketplace widens—and yet need to try for worthwhile commentary and meaningful story. “The large majority of what’s published,” Adams says, “is the more serious science-fiction instead of the stuff that’s just entertainment, that material that uses science-fictional furniture simply to…have fun. There’s nothing wrong with that, but it’s a different kind of thing. “I like to think that people would embrace that kind of thing,” the deeper material. In answer to a reference to Alex Garland’s Ex Machina, he compares it to Jurassic Park. “Ex Machina wasn’t in as many theaters,” he says, “which means that the success it has had has been really encouraging. And there are things like Gravity and Interstellar…so ambitious. “And on television, there’s the anthology show Black Mirror, picked up by Netflix for new episodes. Obviously, for somebody who comes from short stories like me, this really appeals to me. And it is such serious science-fiction. I can’t even remember when I saw something like that on television. As the new imprint plays out, those who know Adams’ work will be watching closely to see how he handles longer-form acquisition. Houghton’s selection of him carries with it the question of where his experience in short genre fiction will take his list.